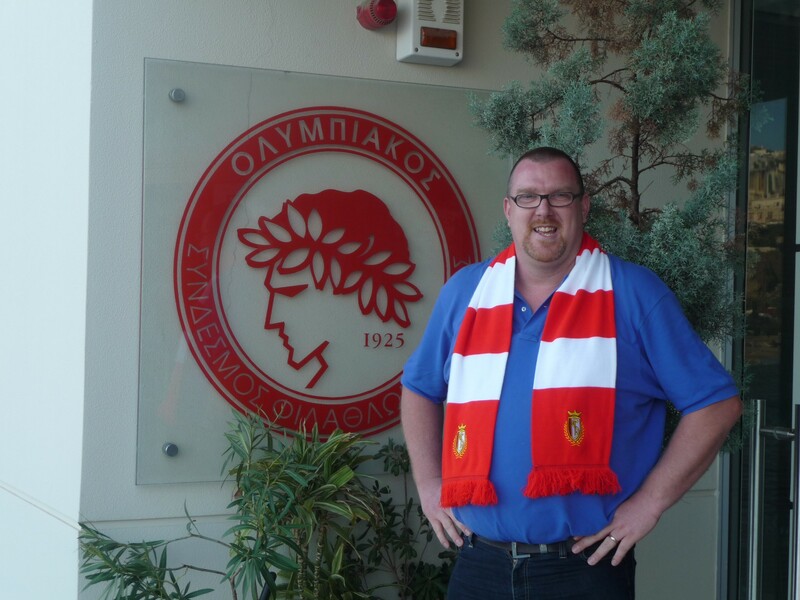 We visited the Olympiakos office in the very nice harbour at Pireaus. 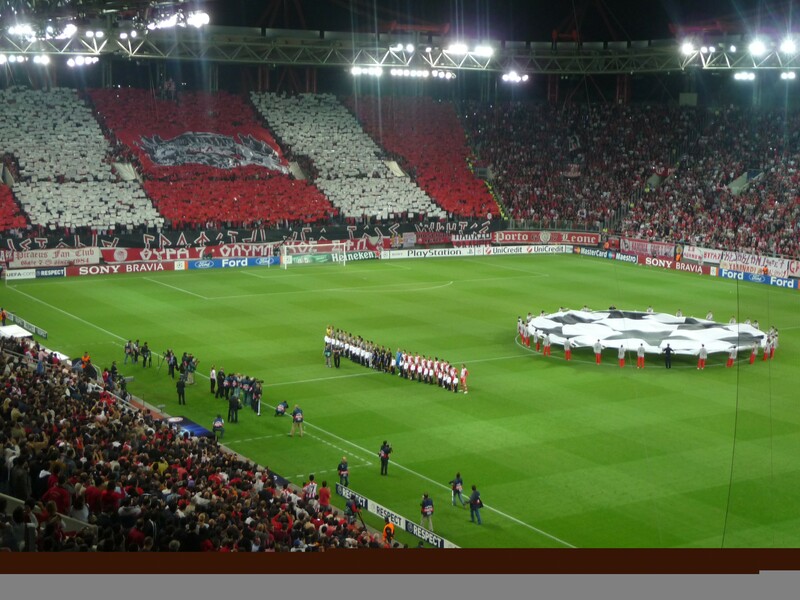 This is a view from the VIP bar on the pitch. 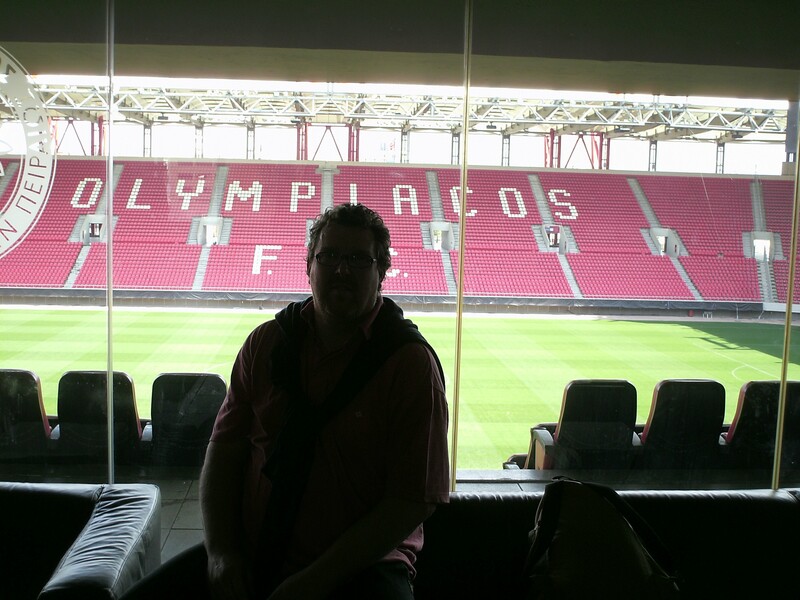 The Picture is taken at the stadium visit after the 2010 Panathinaikos game. 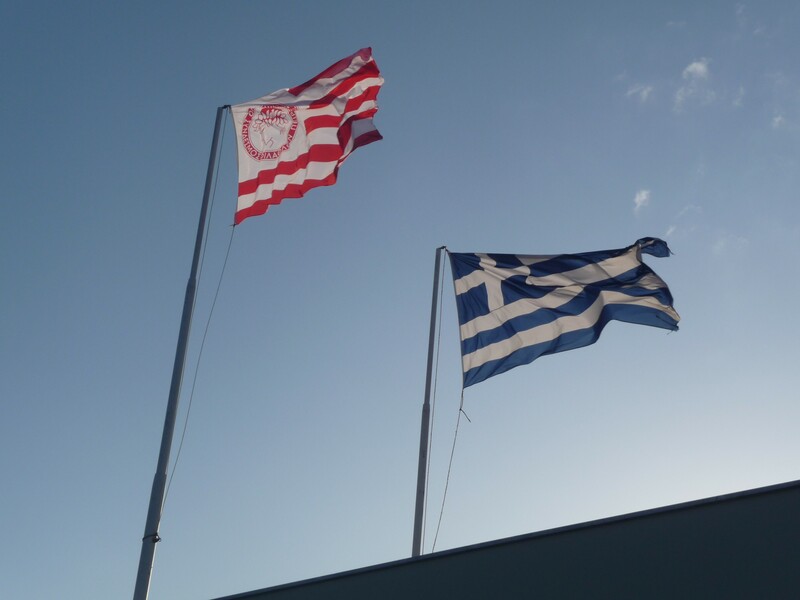 We were very welcome after beating the rivals from Athens.